~14' of 2" wide cotton webbing. If you're wondering where you can buy this stuff, fear not: we have plenty at our store. And if you’re wondering what you’ll need if for… well, at BOSS we use the parachute cord to tie your blanket into a “blanketpack” — your backpack for Field Courses. 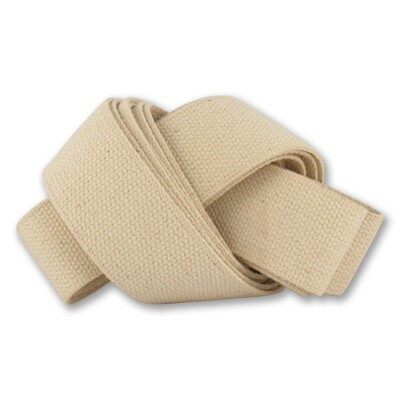 The cotton webbing is then used to create straps for your arms. The result: a surprisingly comfortable and simple way to carry your gear on the trail.